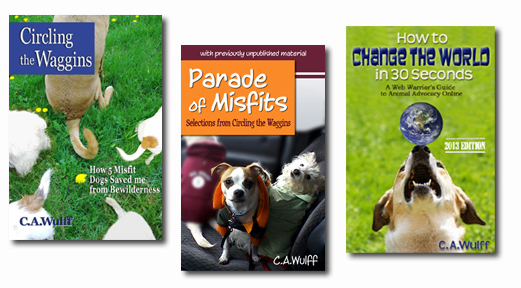 Barking Planet Productions is proud to introduce you to the books of C.A.Wulff - author, artist, and animal advocate. Wulff's books for dog lovers take you into the world of animal advocacy and rescue. A journey into the heart and mind of a dedicated pet lover who shares her experiences, concerns and deep emotions with the reader.The setting is a cabin-home in a national park forest. The characters are several adopted dogs, cats, and, for a while, domestic mice -- and two compassionate women. From the snows of winter, to the Halloween costume parades, this is a world founded on the love of dogs. Buy on: AMAZON - BARNES & NOBLE - THE eSTORE See what readers are saying. See what readers are saying. THE eSTORE See what readers are saying. Cayr Ariel Wulff is an author, artist, and animal advocate. She has volunteered in animal rescue for more than 26 years. She is a Contributing Editor at AnimalsVote.org, where she reports on animal welfare. 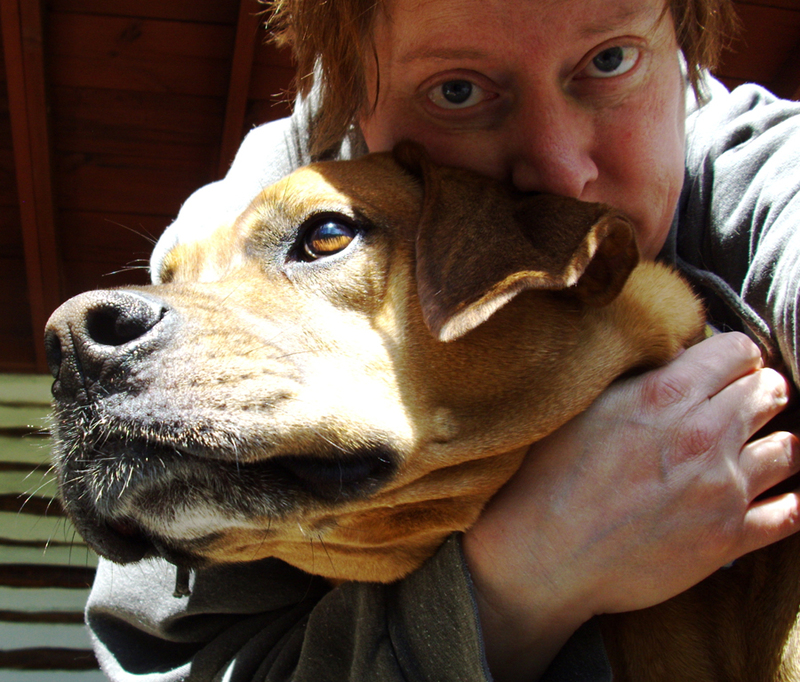 She writes a column as the Cleveland Pets Examiner, and is the National Animal Books Examiner. She also maintains a personal blog about dogs: 'Up on the Woof', and uses her yelodoggie art to spread the joy of the human/canine bond. She attributes her love of animals to having been raised by Wulffs.